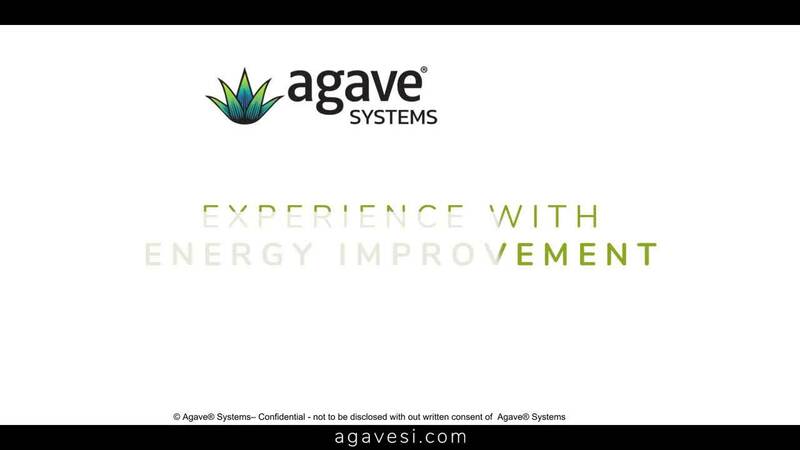 Whether you are an experienced Energy or Sustainability Manager, or just getting started, Agave® Systems has developed the Evolution™ platform to assist you on your road to success. If you are looking for a central tool to acquire energy data process metrics in real-time, validate utility bills, or projects, provide alerts or bring knowledge to your team, we are excited to help achieve your business goals. Learn more about Agave Systems, here. Be sure to tune in next time to hear more about the key characteristics of an energy manager. Until next time, have fun innovating your way to success. In this week's blog series, Agave® Systems' CTO, Mark Gilbreth, continues to discuss the Key Characteristics of an Energy Manager by speaking to the importance of experience of energy management. As an Energy Manager, you are a leader. You must access experience to develop energy savings ideas. Your experience or team of experts should have a thorough understanding of utility rates. Time-of-Use rates are complex and changing, but understanding is critical to identify what energy improvements will help achieve your goals. Other energy reductions include process changes, such as equipment schedules or thermostat setting changes, provide a quick win for the team. Equipment upgrades that require capital, provide paybacks of 1 to 3 years but typically generate more savings. 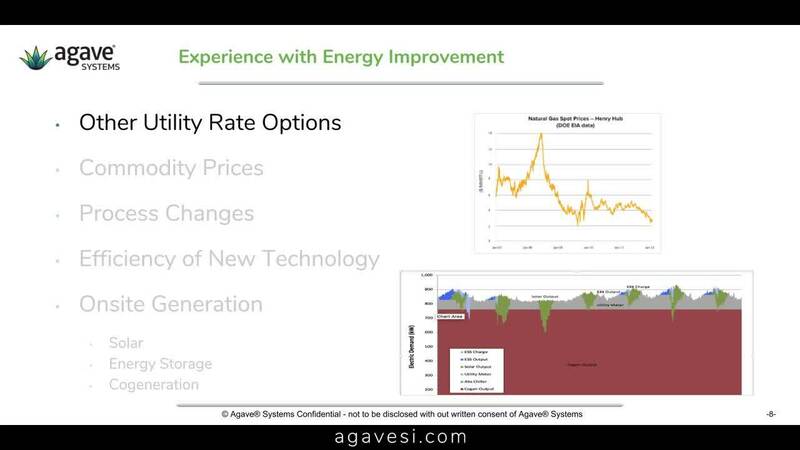 Lastly, onsite generation, such as Solar, Cogeneration, and Energy Storage provide paybacks in the 3-5 year range, but offer greater savings. These are a few examples of energy savings strategies that have helped others achieve their goals. Does your team have the experience to know which will help you achieve your goals? Over the last 30 years, CEO and founder, Steve Acevedo finds that value based partnering as been the key to his success. In the final edition to the 6 Part Series on Success Elements to Building a Prosperous Energy Consulting Services practice, we learn the main benefits of Value Based Partnering. Those benefits are supplementation of staff skills, access to support for times staff is unavailable, access to collective knowledge available in the industry, risk mitigation, smooth implementation and web based status reporting of installation. If you are interested in joining Agave® Systems' referral sales team, check out our partner page. Thank you for watching our final part of the Success Elements to Building a Prosperous Energy Consulting Practice. Until next time, good luck and good selling! Energy Costs are rising and becoming a more significant portion of your companies operating budget. Local, State, and Federal agencies are mandating that your business begin reporting and reducing Green House Gas Emissions. Meet Mark Gilbreth, Founder and Chief Technology Office of Agave Systems, Inc. Mark has 27 years of experience driving value with process improvement and automated systems. He has held many leadership positions and his success has been driven by identifying business processes, eliminating waste, and driving value to his organizations. Based on his experience, Mark shares the the 5 Key Characteristics that will make you a successful energy or sustainability manager. Those characteristics are: 1) A Focus on Added Value, 2) Establish Critical Energy Metrics, 3) Experience with Energy Improvement, 4) Model Good Teamwork Habits, and 5) Implement Controls. In this series, Mark will dive deep into each of these key characteristics. Learn more about Agave Systems, here. 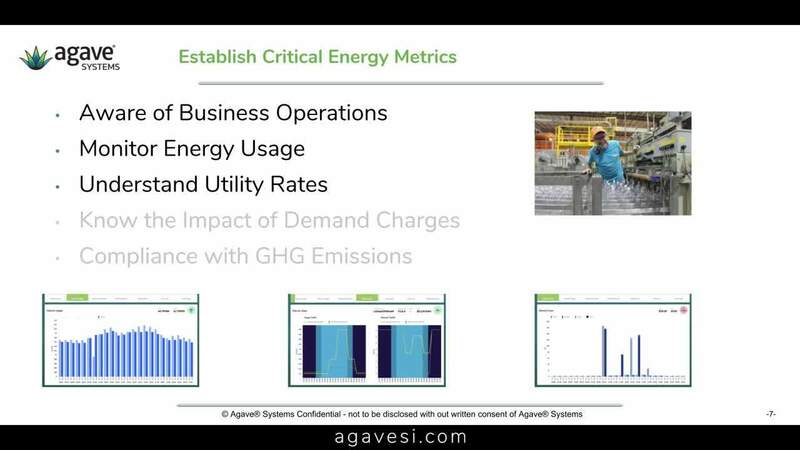 Be sure to tune in next time to hear more about the key characteristics of an energy manager. Until next time, have fun innovating your way to success. After selling your service or product to your client, you then enter the implementation phase where you much have strong project management. 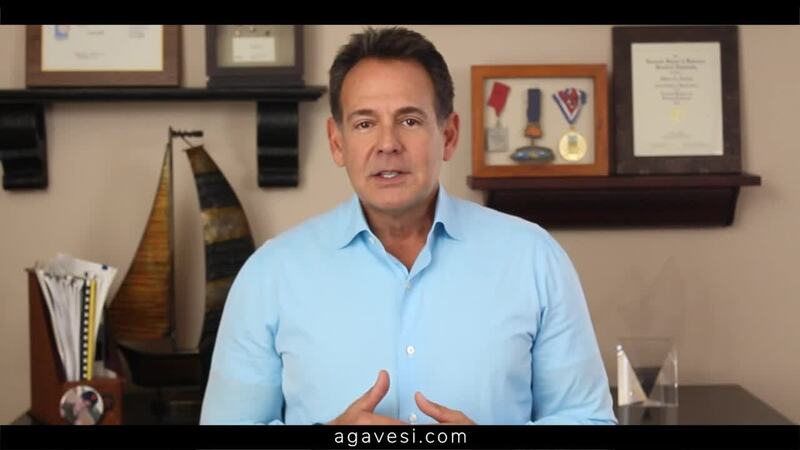 In this video, CEO and Founder of Agave Systems, Steve Acevedo speaks about the key parts to project management. One, evaluate your communication process with both external and internal partners. Two, your statement of work should follow the SMART model: Specific, Measurable, Achievable, Relevant, and Time. Next, Evaluate your critical success factors. Fourth, reevaluate your schedule. Lastly, evaluate your post project reporting or deliverables. 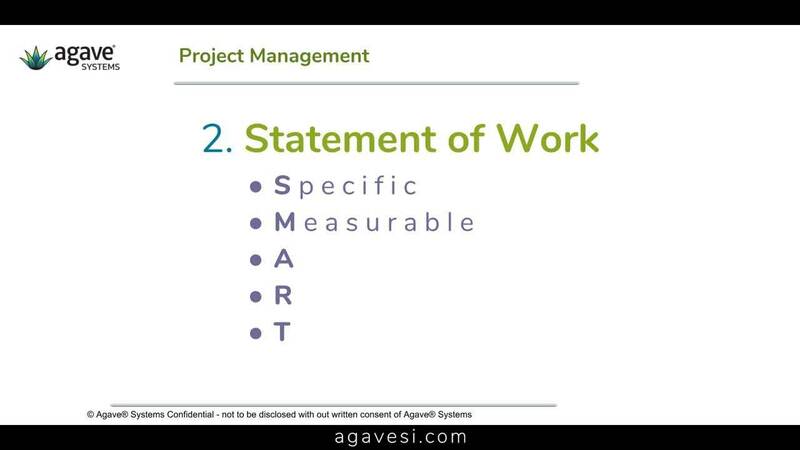 Watch as Steve describes each of these key factors of project management in the video above. If you are interested in joining Agave® Systems' referral sales team, check out our partner page. Tune in next week for part five. Until next time, good luck and good selling! Selling services is always a challenge. 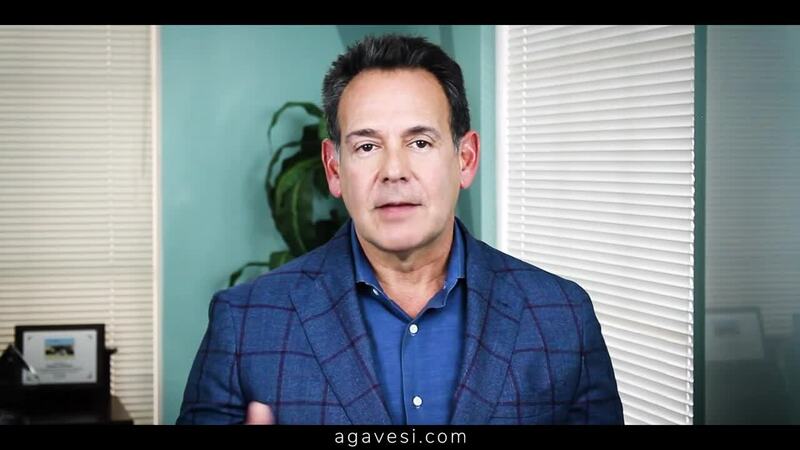 In this video, Steve Acevedo, CEO and Founder of Agave® Systems, explains how within that challenge is replicating the message from the subject in an easy, consistent way. In the fourth edition of the six-part series of Success Elements in Developing a Prosperous Energy Consulting Practice, Steve discusses how to take your core offering and putting "In a Box". When you take your core offering and put it "In a Box" it allows you to develop features and benefits from a branding standpoint. This helps clients understand the value proposition you bring by reducing the complexity of the message which creates a velocity of sales. If you are interested in joining Agave® Systems' referral sales team, check out our partner page. Tune in next week for part five. Until next time, good luck and good selling! Do you struggle with keeping your team's focused with the the mission at hand? 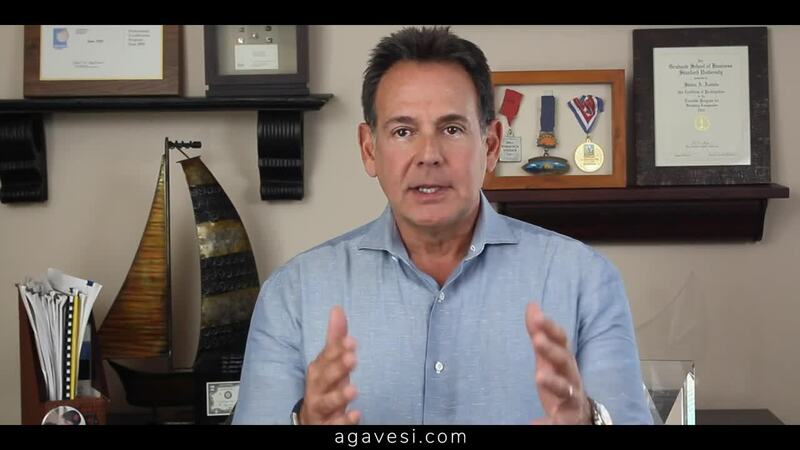 In this video, Steve Acevedo, CEO and Founder of Agave® Systems, explains the importance of methodologies. In the third edition of the six-part series of Success Elements in Developing a Prosperous Energy Consulting Practice, Steve discusses how a methodology is a recipe for replicating things that have worked. He pin points the key client interface phases where a methodology should be applied and talks about how it is important for the client relationship. If you are interested in joining Agave® Systems' referral sales team, check out our partner page. Tune in next week for part four. Until next time, good luck and good selling! Are you having troubles qualifying an opportunity? 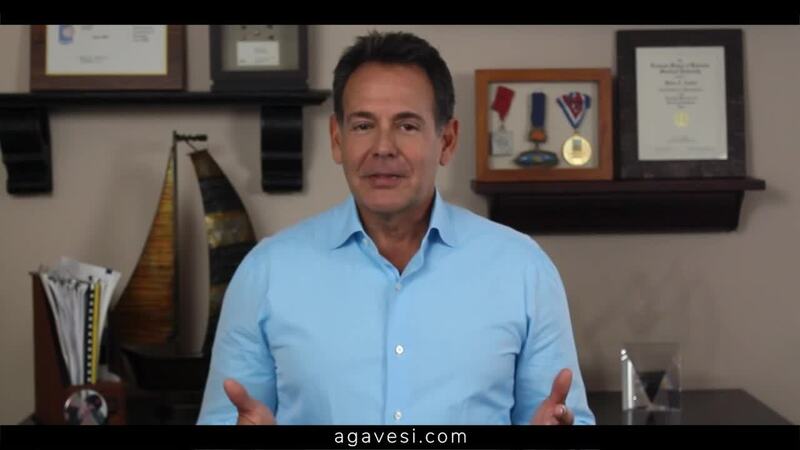 In this video, Steve Acevedo, CEO and Founder of Agave® Systems, explains the importance of responsiveness. In the second edition of the six-part series of Success Elements in Developing a Prosperous Energy Consulting Practice, Steve discusses components clients look for: reliability, availability and service ability. Learn Steve's tips on responsiveness and how you can improve your relationship with your clients. If you are interested in joining Agave® Systems' referral sales team, check out our partner page. Tune in next week for part 3. Until next time, good luck and good selling! 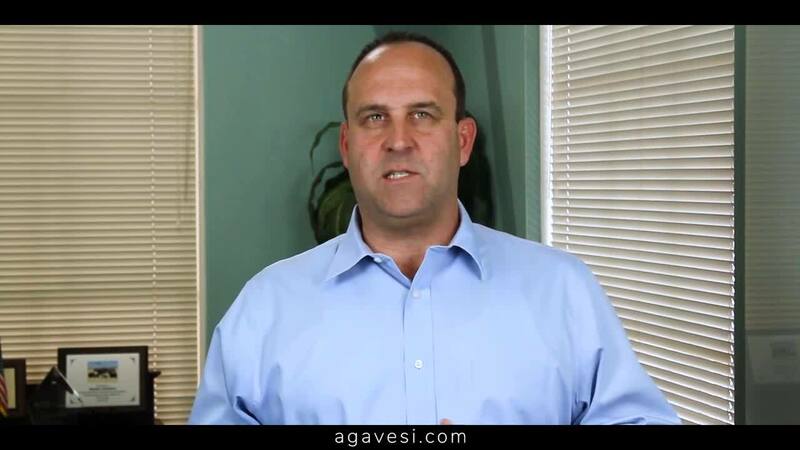 For the first of our six-part series on Building a Successful Energy Consulting Practice, Steve Acevedo, CEO and Founder of Agave® Systems, explains the importance of services. This series offers recommendations to challenges that services organizations face. Steve discusses the how a services practice with an ongoing billing stream could be the key difference between you and your competitors. Following the video, download a PDF displaying the information from the presentation. 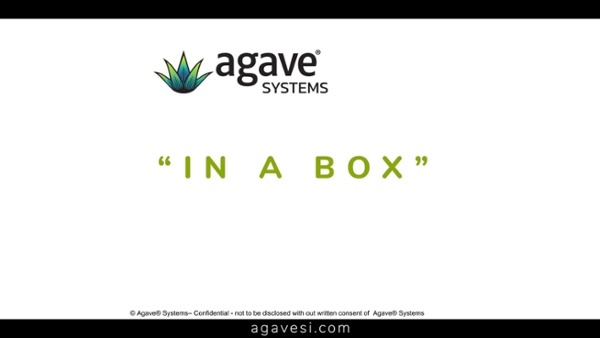 If you are interested in our Agave® Systems referral sales team, click here. Until next time, good luck and good selling!